Carnevale will be over today. 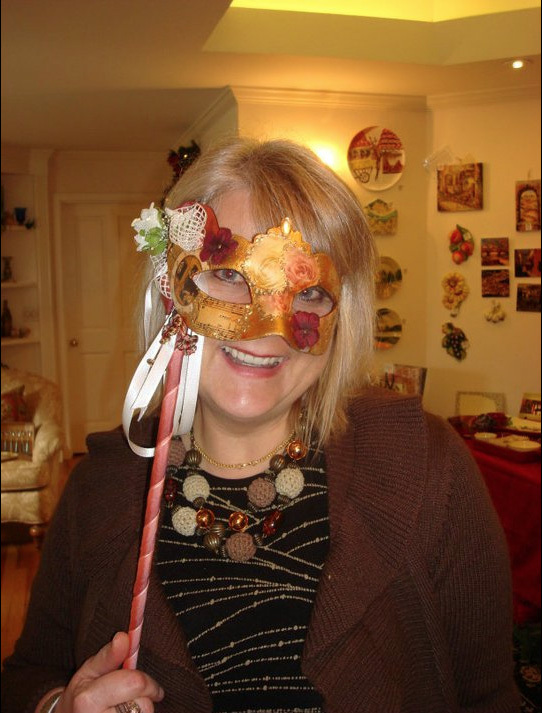 Celebrated all over the Christian world, Carnevale ends with celebration of Mardi Gras (Fat Tuesday), rich food, dances and laughs, giving the way to Lent fasting. 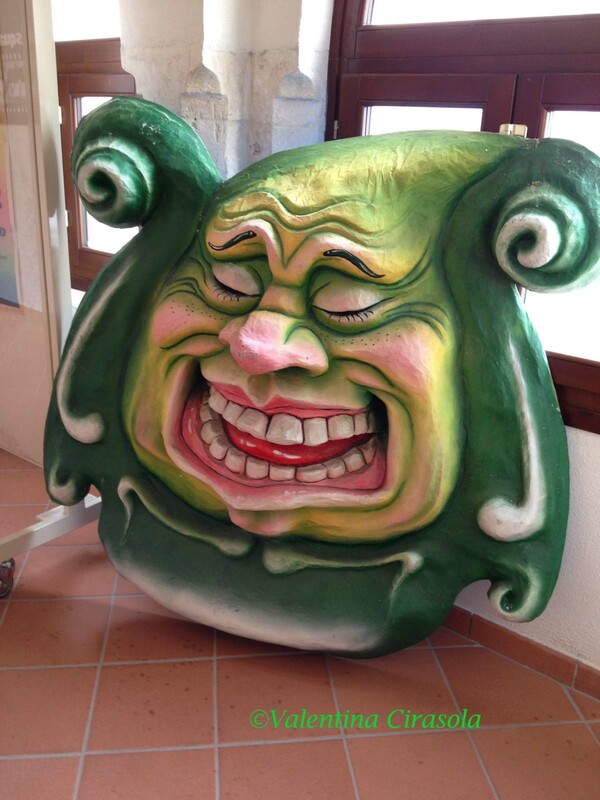 In my homeland of Puglia (Italy), Carnevale in Putignano is as famous as Venice Carnevale. For over seven centuries Putignano was a protectorate of the Pope and for about two centuries the town was under the dependence of the Knights of Malta, a very powerful religious organization. 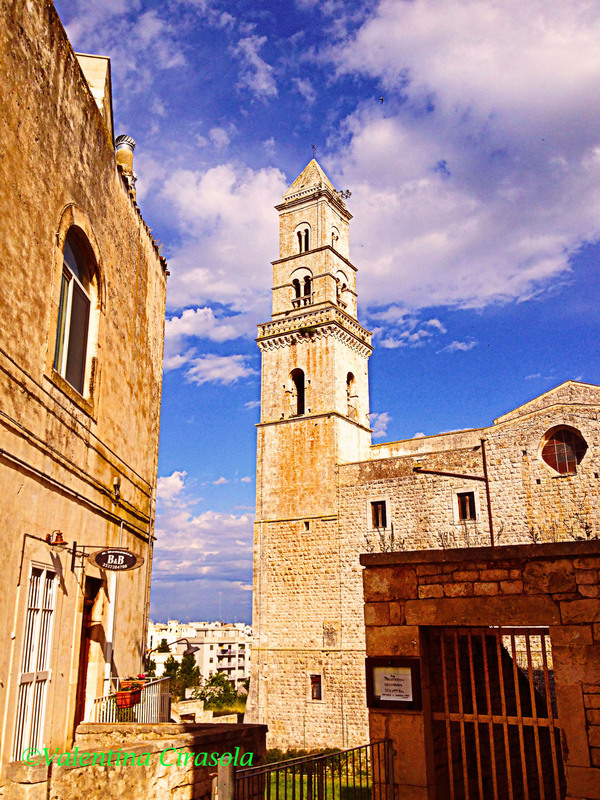 Its inhabitants were always into agriculture work, which produced the renowned healthy Puglia’s country food. In addition people of Putignano produced quality hand-made crafts like cotton and felt creations and the most exquisites internationally known wedding gowns. (Click on each photo to view it larger). 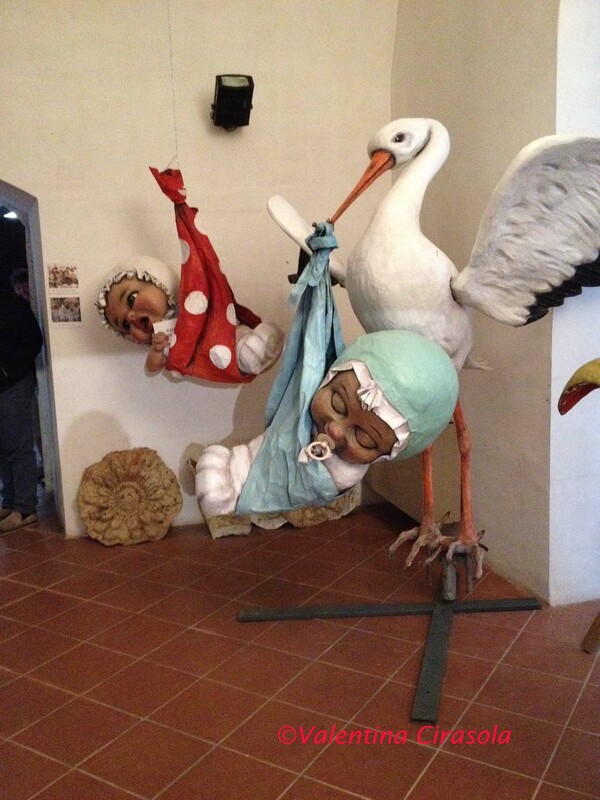 In the last fifty years Putignano became known for its Carnival floats. 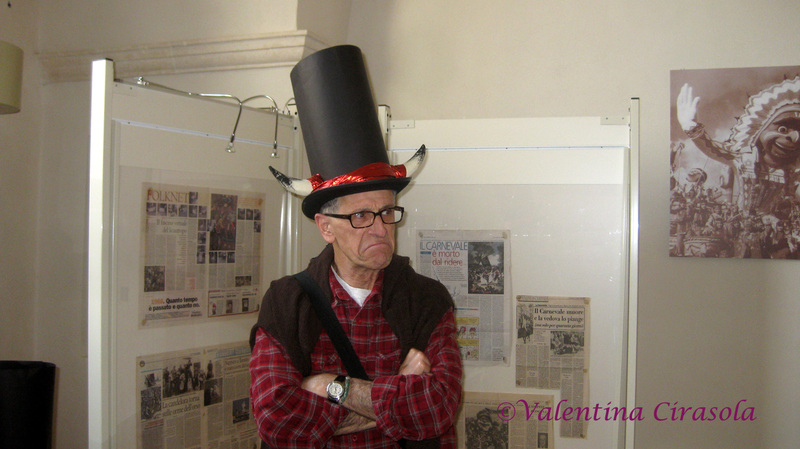 The symbolic costume of Carnevale in Putignano is “Farinella”. The name of Farinella comes from an ancient farmer’s dish made of chickpeas flour and roasted barley mixed with sauces or it accompanies fresh figs. Flour in Italian translates in farina, thus “Farinella” means light flour. The costume even though takes origins from an ancient dish, it is really a fairly new creation, invented in 1953 and it almost looks like its counterpart Neapolitan Pulcinella costume. 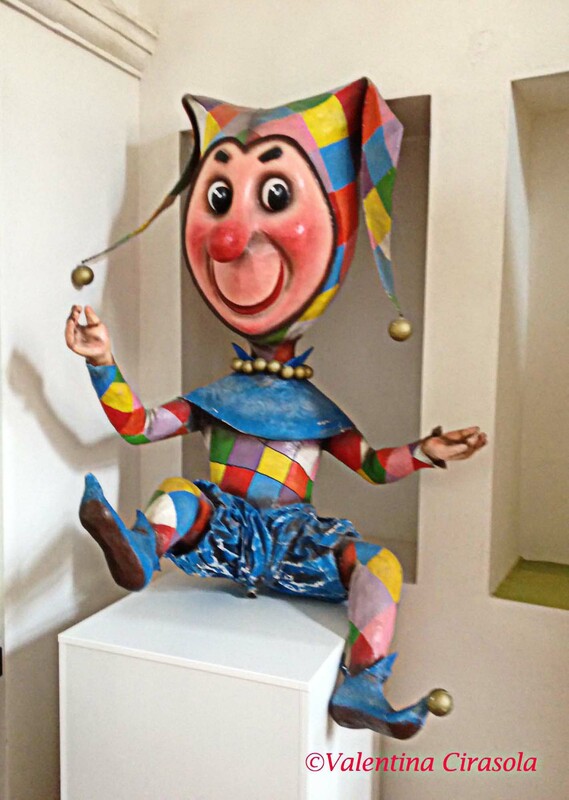 The figure represents a happy joker dressed in a patched up costume of many colors, it has a blue collar around the neck, hat and shoes with small bells attached. It looks good on kids. Carnevale ends on the Mardi Gras day with the parade of colorful floats more than twenty-two feet tall, hand-made by skillful local artisans, followed by the symbolic funeral of Carnevale represented as a pig. 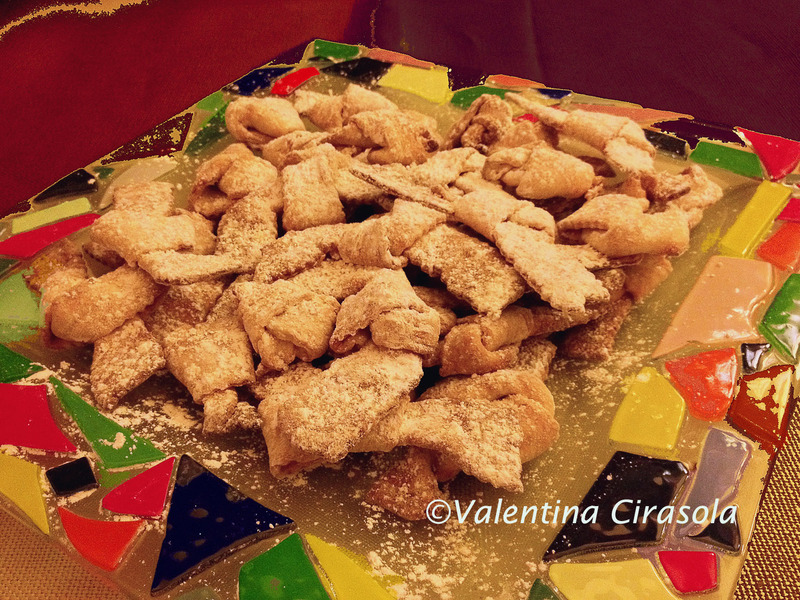 The typical cookies for this event are Chiacchiere, meaning chitchat, very friable type of cookies that make noise when we eat them and sound as if we are chatting. Chiacchiere cookies are like cherries, one pulls the other and can never have only one. 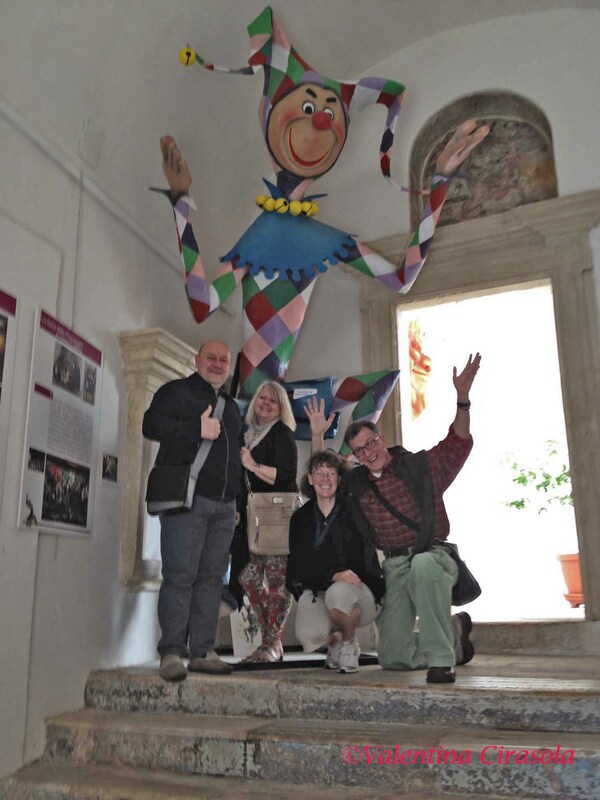 I take my traveling groups to visit the Carnevale Museum in Putignano, open all year. There we can admire the handwork of the artists who invent the characters, or imitate them, as some of the visitors do.